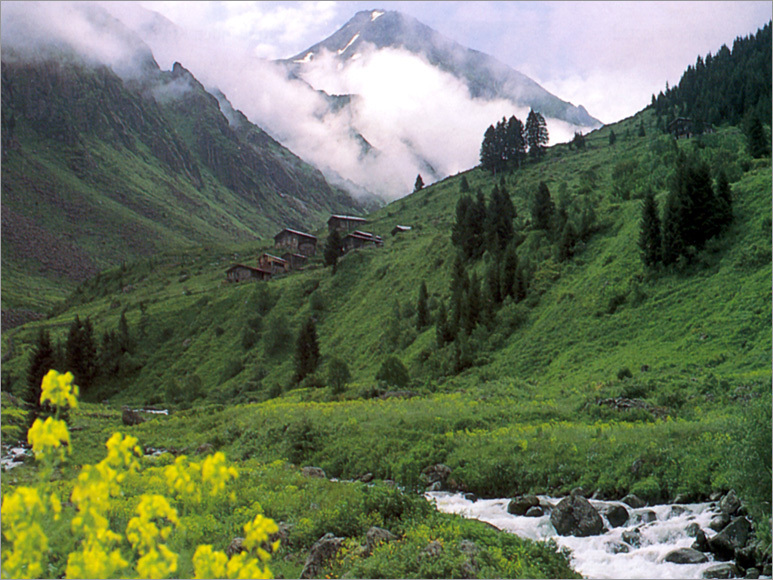 Rize, which is situated in the East Black Sea region, bears all the characteristics of the area. It is established to 75 km east of Trabzon, on the skirts of a mountain covered in tea that looks like green puffy pillows. 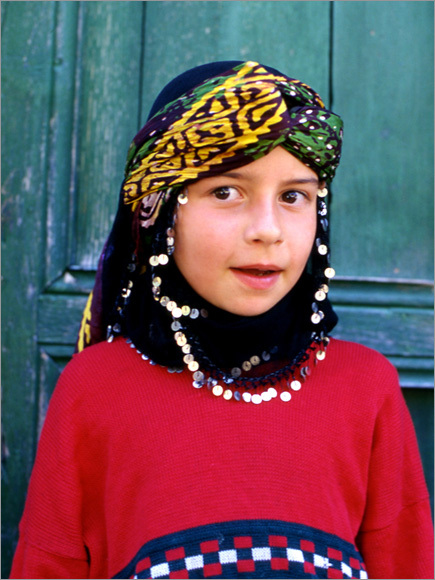 It has a distinct geographical structure when compared to the other regions of Anatolia. It is a very special tourism region with its draws, mountains with attainable summits, its glacier lakes, highlands as green as emeralds, its historical humpback bridges and castles, ardent streams. 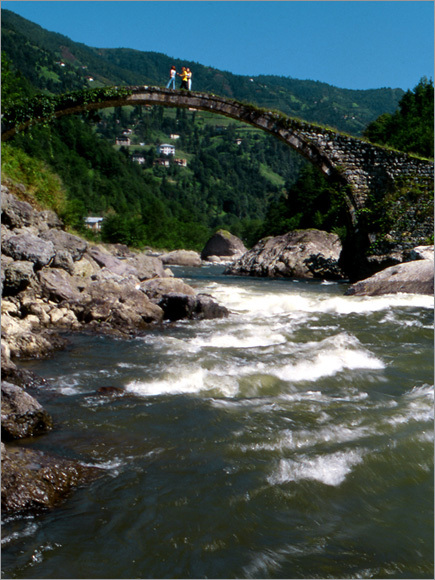 With its mountains in the South which start ascending right from the coastline and its many rivers which come up from the high mountain skirts and flow into the Black Sea, Rize has a steep and broken structure. Thanks to its rugged structure and its rainy climate, it is covered in a thick flora and forests. Anywhere you look reflects the shades of the color green. 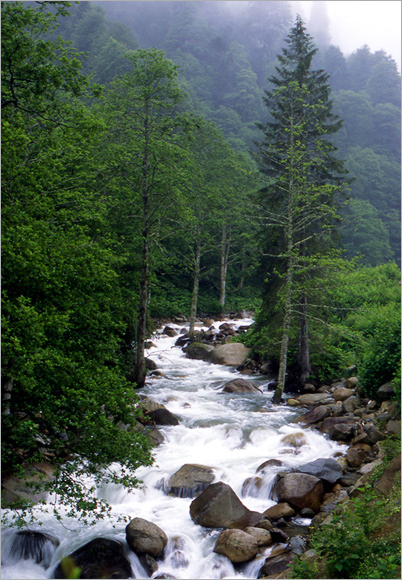 Thanks to its rainy climate and many underground water resources, Rize is among the countries very rich in rivers. 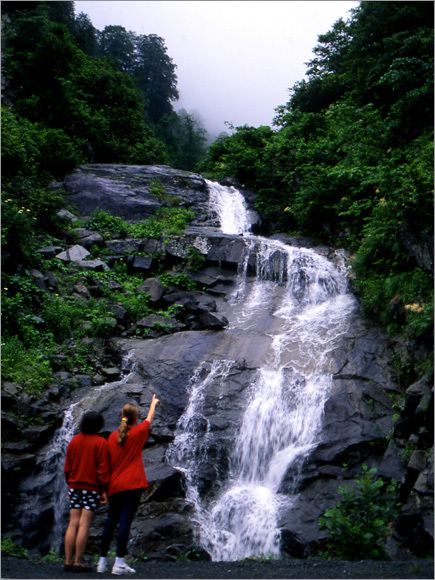 Rize features a climate that is cool in winter, warm during the summer an rainy all throughout the year. There is a rumor that the name Rize comes from the stream running past the city named “Rhizios” in the beginning and then “Rhizaion”, whose water was directed to the city during the colonization period that started in 7th century B.C., as well. The wonderful panoramic scenery of the region can be observed in the Ziraat Park. 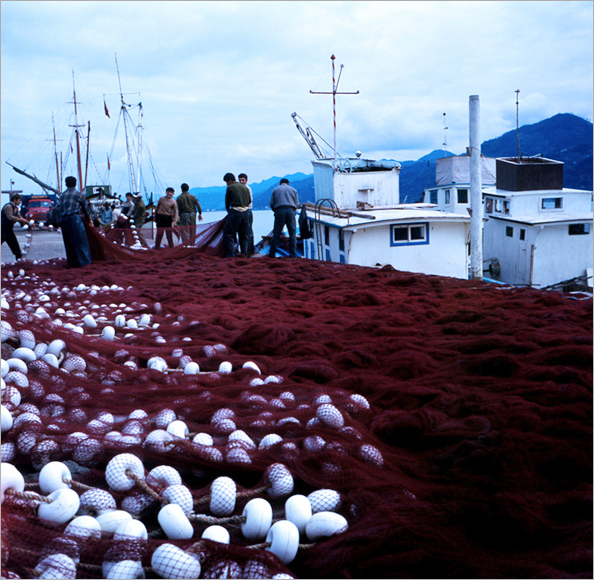 The written history of Rize and its surroundings, which are estimated to have been inhabited by some societies that dealt with agriculture and animal husbandry in the 2nd century B.C., starts with the war times raged by the sailors from Miletos. The people of Miletos had commercial settlements on the coastal East Black Sea region. The region, which was later overrun by the Kimmer, Med and the Persians, was taken over by King Pharnakes in 180 B.C. and Parts in 1st century B.C. and the city went under the reign of the Roman Empire in 10 A.D. It changed hands between the Sasanis and the Byzantine Empire as of 4th century A.D., was taken over by the Turks after 1071 Malazgirt War but was regained by the Byzantine Empire when the Seljuqians expanded towards the west. 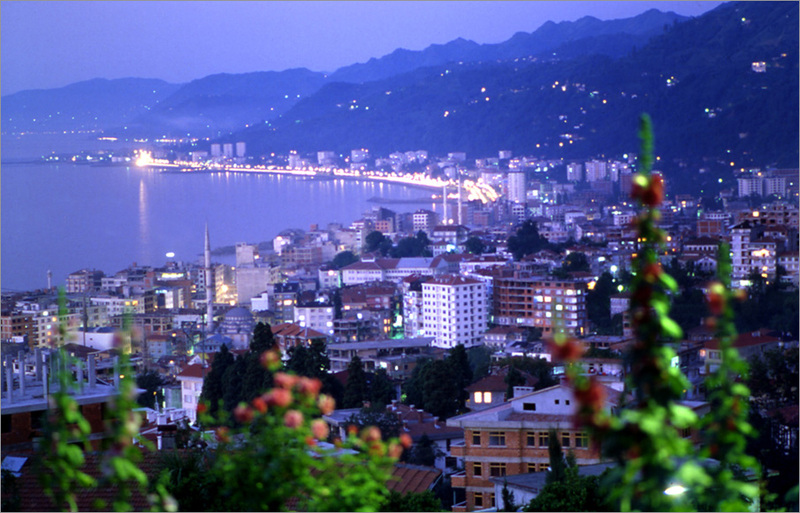 Some parts of Rize were taken over by the Ottoman Empire in 1461 and the rest were added to the Ottoman lands in 1509. Rize became a city in 1924, after the proclamation of the Republic. 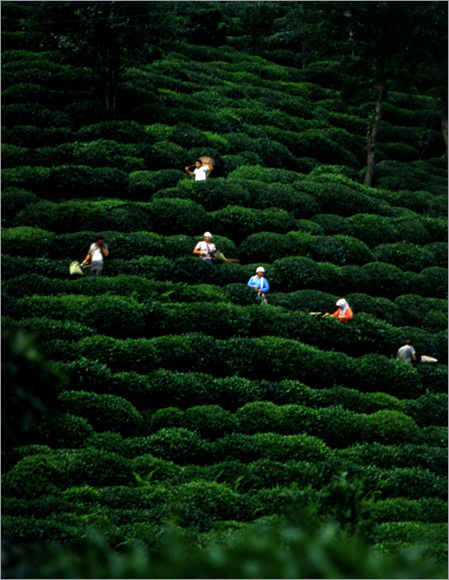 Tea production in Rize, which made a great progress with its tea production after the 1950s, still preserves its place in the city’s economy. The districts of the city of Rize are; Ardesen, Camlıhemsin, Cayeli, Derepazarı, Fındıklı, Guneysu, Hemsin, Ikizdere, Iyidere, Kalkandere and Pazar. It is located in the Muftu Ward. It has a wide garden in the North. It was built at the beginning of the 20th century. It is a planned, three storey building with an internal hall. The room overlooking to the northeast on the second floor was Ataturk’s room. The Great Leader Ataturk was welcomed in the house of Mataracı Mehmet Efendi during his visit on 17 October 1924 and stayed in this room. Mataracı Mehmet Efendi’s House wa restored and was opened as a museum on 27.12.1985. There are epigraphs and grave stones collected from Rize city center are on exhibition on the ground floor, whereas some wood carved architectural works of art, weaving equipments and ethnographical things are displayed on the first floor and stuff dating back to Ataturk’s time, the clothes of Ataturk and the photographs of the Ataturk and the war of Independence on the second floor. The Rize Museum Directorate started serving as the House of Ataturk in 1984. One of the two 19th century civil architecture works in the city center, whose restoration works were completed by the Ministry of Tourism, Sarı Ev’s display and repair was completed and was opened as a museum on 27.06.1984. The ground of the building are at the service of the visitors as a cafeteria and the second floor serves as a restaurant offering local specialties. The Rize Museum houses 52 archeological, 1014 ethnographical works of art, 594 coins, 17 seals and seal prints, 3 documents on file and 17 manuscripts, adding up to a total of 1695 declared works of art. 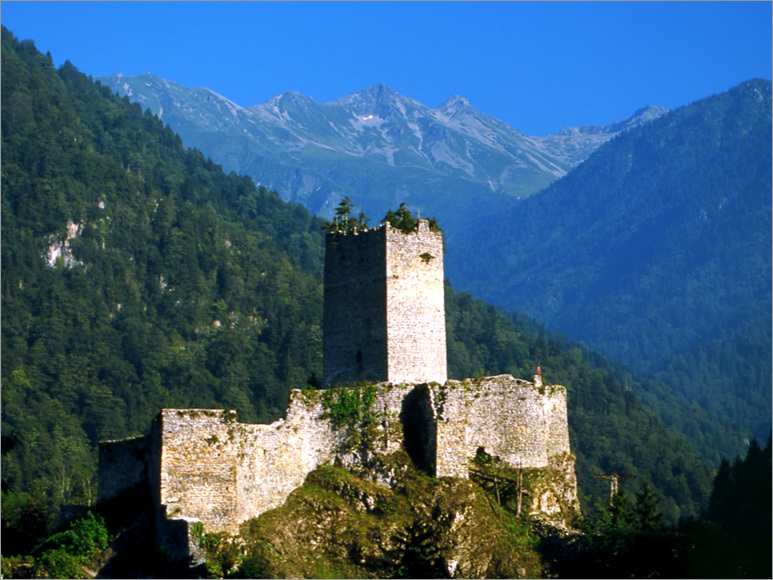 The castle, situated to the southwest of the city center of Rize, consists of the internal and lower castles. We have no certain data as to the date it was built. The inner castle was built in the 6th century A.D. and the Ceneviz people built the lower city walls in the early 14th century. The castle was repaired and used by the Ottoman Empire. The inner castle city walls, built partly from flat and partly from debris, are 1,5 m thick and has five semi-circle shaped towers. What remains today from the lower castle, which extended from the inner castle to the northeast and the northwest and reached up to the sea, is a part of the western city wall and some towers. The tower, which is estimated to have been built in the late Middle Ages, is in the district of Camlıhemsin. It is made of debris on a mass of rock in a position overlooking the valley covered in pine trees. Its walls are 1,5-2 m thick. 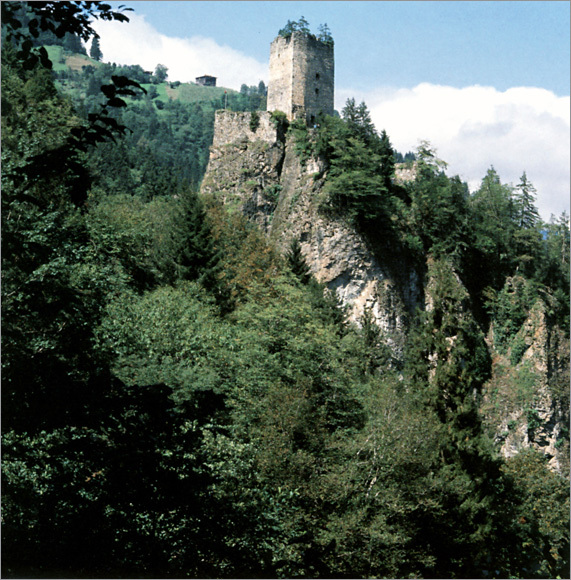 The castle is surrounded by natural cliffs in the east, South and North and you can see high city walls only in the west and partly in the North. 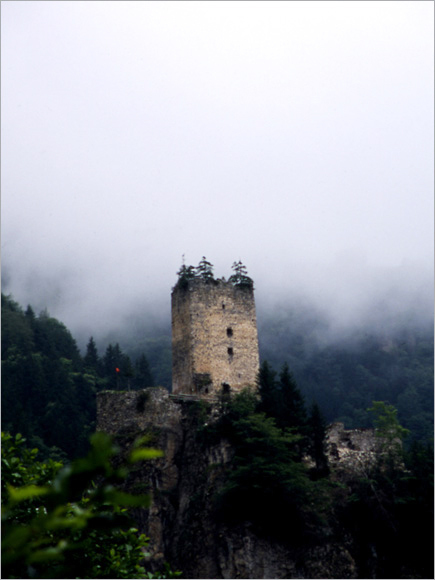 The castle, which is situated in a green location, is mostly covered by fog and its scenery creates a mysterious effect. It is to 40 km South of the district of Camlıhemsin. Situated on a hill 150m high, the castle is estimated to have been built around 200 B.C. The mosque, situated in a wide reservoir in the district of Islampasha, is also known as Islampasha and Kursunlupasha Mosque. It was built by Iskender Cafer Pasha in 1570. It is made of cut stone and designed in a rectangular shape and has a dome with 24 windows. The mosque consists of a wooden place of last meeting and the harim part surrounded by stone walls and topped by a dome. The walls of the mosque are made of debris. You can climb up to the minaret from the southwest corner of the harim. Entrance to the square harim is provided by a door on the northern side. The two Windows on both sides of the mosque provides illumination. These windows are made of flat leton. Furthermore, it has circular belts over the octagonal dome pulley. There is a candleholder with an iron fence in the dome sitting on the tromps. The dome has a lead outer covering. The stone niche is plain. The wooden pulpit, which is huge for the mosque, is new. The gathering place that used to be wooden has recently been reinforced with concrete. The decorations are new, too. This mosque, situated in the city center of Rize, ,was built by Gulbahar Hatun, who was the mother of Yavuz Sultan Selim, in the 16th century. This rectangular mosque is a pleat roofed structure consisting of a last place of gathering and a harim section. 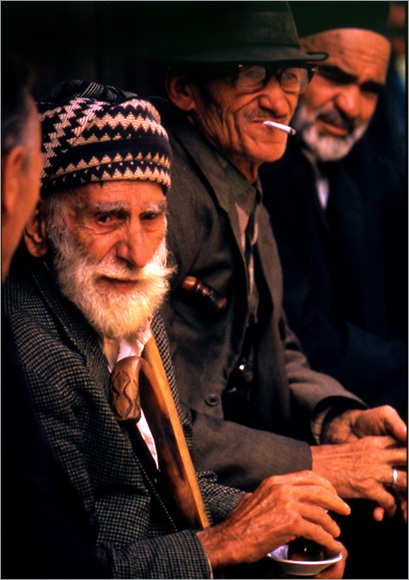 The last place of gathering is seated on a subasman. It is a two storey building made of stone and wood. The minaret, climbed via the last place of gathering is in the west. The walls of the harim section is made of local black stone and carved flatly. It has a four rimmed roof together with the place of last gathering. It is covered with tiles. The square shaped harim section is accessible via the place of last gathering and the door in the west. There is a wooden gathering place on the entrance held by two columns. The ceiling is wooden and there is a lath dome in the middle. The harim section is illuminated by a double row of circular Windows, three being in the west and two being on the other sides. The niche has been limited to corrugated columns and has a horizontally sliced niche. The wooden pulpit is plain. The Gulbahar Mosque has been destroyed and re-built for a few times. 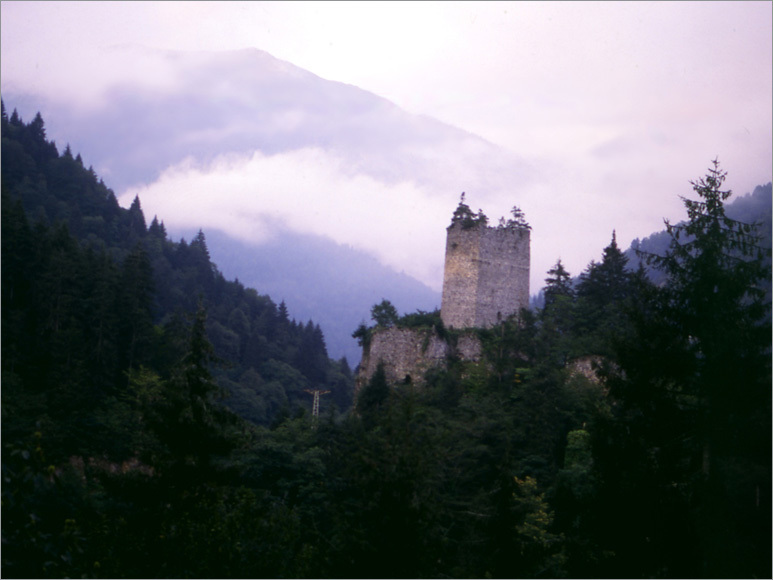 It is situated in the Kale District and to the South of the Inner Castle of Rize. The mosque, which was built in 1658 has been recently restored. It has a ground store due to the slopy structure of the land. The ground store is made of stone and the upper floor is reinforced concrete. The covering has a pleated roof and covered with tilt. You arrive at the harim through a small last place of gathering. The harim, which has a flat wooden ceiling, is illuminated by wide Windows with circular arches. The mosque, situated at the entrance to the Cayeli district, on a terrace overlooking the sea, next to an old graveyard, was built by Cafer Pasha, who is the conqueror of Rize in 1467. The mosque has a simple composition and its roof is covered with tilt. There is marble epigraph at the entrance. It is situated in the village center. It is a good example of the mosques of the village with wooden decorations built in 1801. The construction material is neatly hewn stone and wood. A new section has been recently added to the front part of the mosque which has a rectangular shape. The minaret in the northeast side of the mosque was also built at that time. You enter the harim through the door on the northern side. There is a wooden gathering place above the entrance. The illumination to the harim is provided by two flat lentilled windows at a time, large at the bottom and small at the top, on each side. The stone niche of the mosque is plain. What is more important is the pulpit with wooden decorations, the gathering place and the ceiling. The two sides and the railings of the pulpit has been filled with twist branches of baroque character, with S curls. There are stylized tulips between the twisted branches in the escutcheon. It consists of 10 bridges built over the Fırtına Stream and its branches, in the district of Camlıhemsin. These bridges are registered as cultural assets. One of them, the Senyuva (Cincıva) Bridge, is estimated to have been built in 1699. On the other hand, was built by Turkish master workmen in the 19th century. These bridges, which create wonderful views over the streams, are still in use today. It is built over the Abu Stream flowing through the center of the village. It is one of the widespread bridges in the area. It consists of a single vault eye. The railings of the bridge, which has not been used recently, has gone into pieces. The date it was built is unknown. It is a one-eyed stone bridge built over the Iyidere Stream running through the center of Guneyce. It was built in 1901. The small number of houses in the city center is watched over by the government. And two or three of them are preserved and kept alive. Traditional construction materials and techniques were used during the construction of the Rize houses. These houses feature walls built using the pile stone and filled eye technique and has tilt-covered rooves having slopes on all sides. The city houses are generally two or three storey buildings. There are the service volumes such as the harn, the cellar etc. in the ground floor. The first floor has the chamber, hall and the rooms. The oven available in the chamber (the main living room) is used for cooking. The rooms are designed in the traditional style and some of them have wooden decorations. 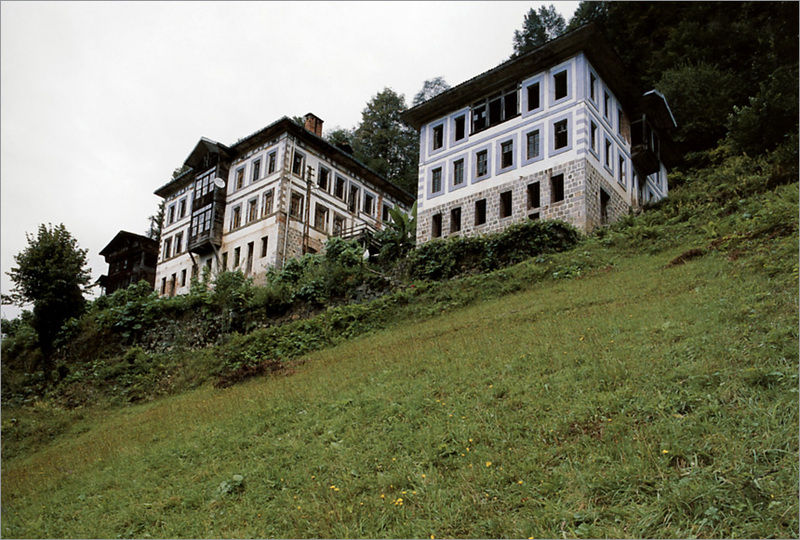 The Tuzcuogulları house in the city center of Rize, the Mustafa Hacaloglu House in the Caglayan Village of Fındıklı and the Hursit Bey house in Fındıklı are among the bet examples of the traditional style houses in the city. Ayder Spa is among the most significant spas of Turkey. 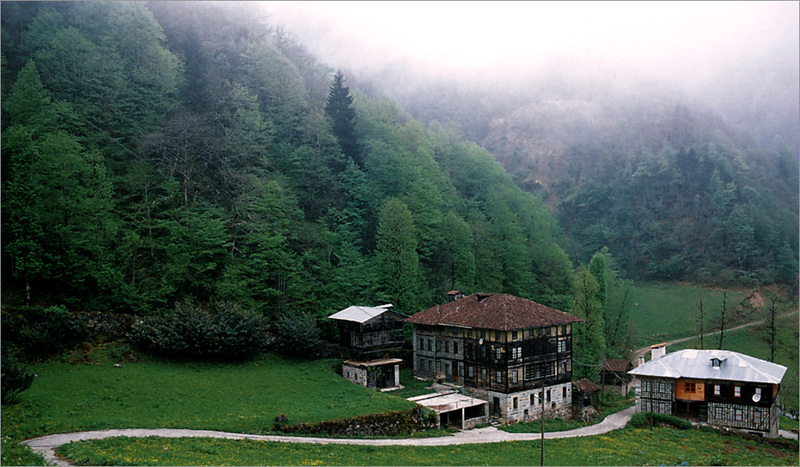 The Andon thermal spring at a distance of 20 km to Rize has become a center of focus for the people in the region. The water of the spring is colorless, scentless and clear. Furthermore, it is known that the İkizdere- Simsirli Springs and the Cayırlı Mineral Water is good for some illnesses. It is to the southwest of the district of Camlıhemsin, about 18km from the city center. The temperature of the water is 46 degrees and you can take advantage of it in bathing cures. It is a wonderful watering hole on your climb up the Kackar Mountains. The Waterfall, which is 12 km. 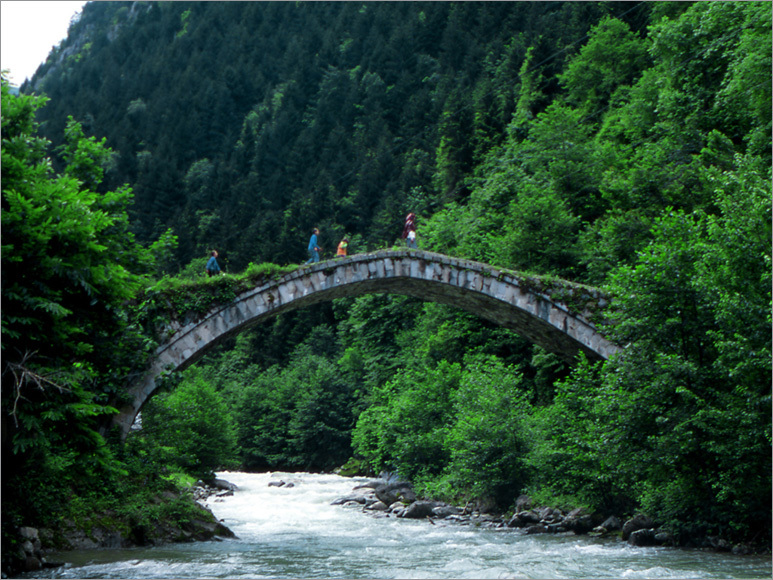 from Cayeli and 30 km to the city center of Rize, and which is situated over the Sairler Stream running through Cayeli, is a natural wonder. Rize, which has a blue sea on one side and green and humidity on the other and which fascinates one with its nature featuring the shades of green, displays the characteristics of the tropical climate. Every season is rainy, thus green. 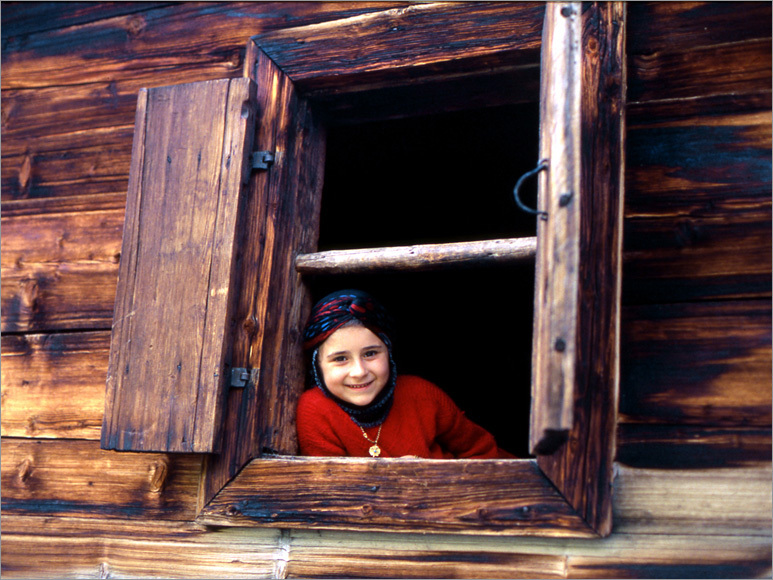 It bears the typical characteristics of the Black Sea region with its people, nature, environment and climate. Highlands of Rize, surrounded by a blue sea on one side and green tea gardens on the other three, are the first to be seen among the places that should be visited. Rize’s highlands, having a quiet rich flora and fauna and which provides one with a quite different natural beauty, offers a wonderful holiday alternative for the visitors with its highlands, interesting highland life, houses of original architectural style, local food, fascinating views and festivals. The holiday-makers coming to the highlands, which concentrate on the Camlıhemsin, Hemsin and Ikizdere districts on the skirts of the Kackar Mountain Range, abide by call of nature, which offers unlimited options, and find the opportunity to engage in unlimited number of activities. Climbing, camping, sportive angling, horse riding nature trips, observing the wild life and the plants and the opportunity to ski in winter are among the first alternatives that come to one’s mind. Here, everybody will find something that will attract his/her attention. Anzer, Cagırankaya, Ovit, Varda, Golyayla, Cimil in the district of Ikizdere, Hazende in Cayeli; Ambarlı in Hemsin; Ayder, Upper and Lower Kavron, Elevit, Tirevit, Kale, Bas Highland, Hacivarak, Palovit, Caymakcur, Amlakit and Samislat Highlands in Camlıhemsin are the most important highlands in Rize. Among these, Ayder, Anzer and Upper Kavron highlands are announced as tourism centers. 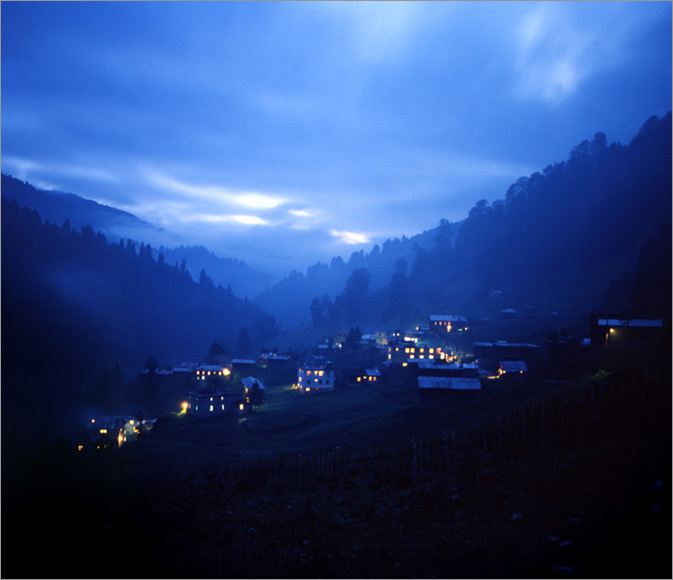 The Ayder Highland at a height of 1350 m. is the most well-known among the highlands in the Black Sea region. The highland, whose infrastructure is fully completed, looks like a town. It is famous for its spa, as well as the rich flora and fauna it houses. 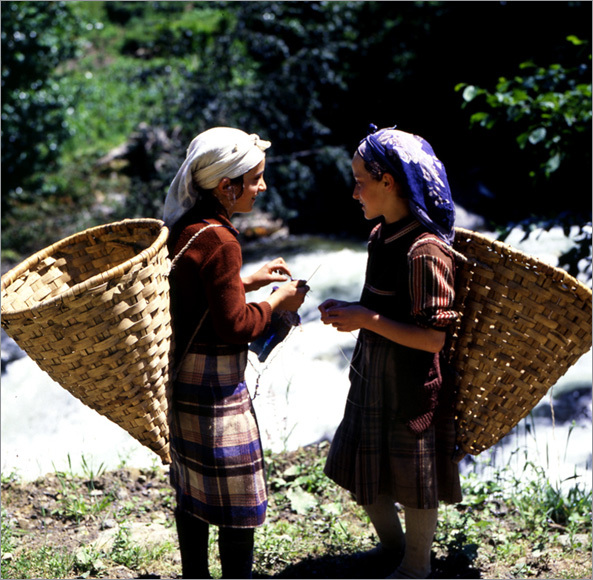 The Ayder Festivals are held annually on the highland situated on the way one climbs up the Kackar Mountains. 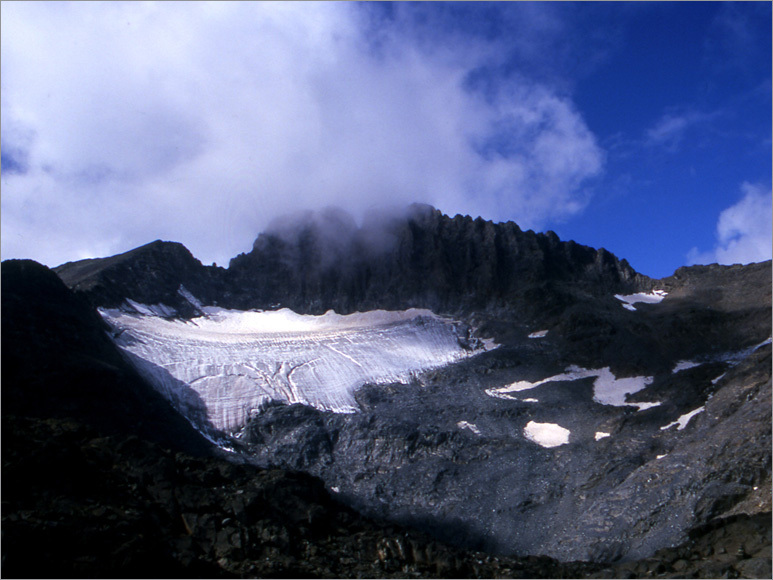 The Upper Kavron Highland, at a height of 2300 m. Above sea level, is at a distance of about 8 km. to the summit of the Kackar Mountain (3932). This highland is the first camping place for the mountaineers that are going to climb Mount Kackar. You can buy some food from the grocer’s in the highland, which doesn’t have an infrastructure. You can hire mutes to carry the load, while climbing up Mount Kackar. Infrastructure works have been completed in the highland, which is 3000 m. Above sea level. A post Office, grocer’s, butcher’s, baker’s, greengrocer’s, a country side coffee and restaurants are at your service. The famour Anzer Honey, which is a solution to many illnesses, is produced on this highland. Cagırankaya Highland, which is 3200 m. Above sea level, is named after the echo that can be heard in the steep rocks and cliffs around the highland housing vast plains. The Cagırankaya Highland, which has an electricity and telecommunications infrastructure, has small business concerns such as a grocer’s, butcher’s and a country cafe. You can Access to the National Park area through a 16 km highway. 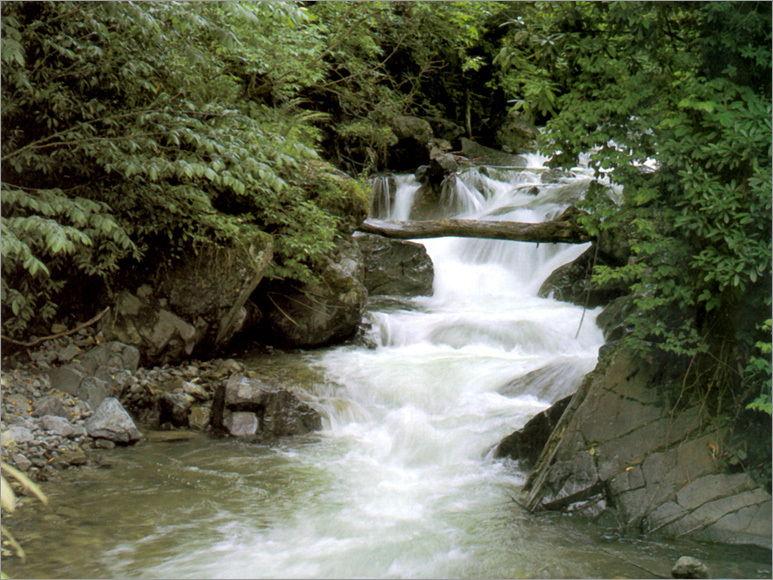 The Fırtına Stream in the west of the Kackar Mountains and the Hemsin Stream in itse ast are covered in a rich flora. This is the only place in Turkey, where the Rhodendrons appear at a height of 3000 m. This area has glacier lakes, glacier valleys, ice rings, as well as many glaciers, in the region. Animals like wolves, bears, pigs, foxes, wild goats, ders, martens, jackals and wild chicken are available on the Kackar Mountains, which are quite rich in terms of fauna, too. The Zikale Ruins, situated in the valley of the Fırtına Stream carry a cultural importance. Meanwhile, the highland settlements of the area impress the visitors both with their harmony with their surroundings and their architectural value. There are also areas that are suitable for trekking and tent and caravan camping facilities. The Ikizdere Canyon between the Anzer and Ikizdere Highlands is an important location for gliding. It is possible, at the same time, to view the area from above. 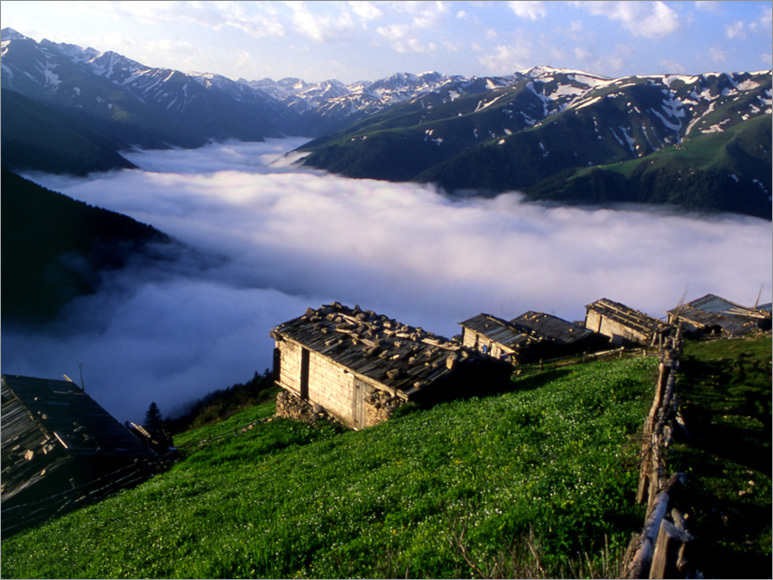 The Cayeli, Pazar, Ardesen, Of and Fındıklı districts near Rize are places, all of which have the thick green and traditional mountain houses of the astropical climate prevailing. The Camburnu beach covered with pine forests is a nice area to have a rest and to observe and take photos of many kinds of birds that happen to stop here while they are migrating. Rize has a geography suitable for expeditions and mountaineering with its highlands and very steep mountains; for canoeing and rafting with its fervent rivers and for fishing with some of its Glacier Throughs and Moraine Lakes, which are situated at a height of 2400-3000 meters. The Kackar Mountains are the sources for the fast running rivers. The most important among these rivers are the Fırtına Stream, Taslıdere and the Iyidere which run from Camlıhemsin to Ardesen and flow into the sea. These streams has the flow necessary for canoeing. There are many small and large streams other than those specified above. Hawk hunting, which is an old tradition in the region carried out especially in the district of Ardesen, is a tradition worth seeing. The Fırtına Stream, one of the rivers situated in the Eastern Black Sea Region, is formed by the merger of the streams on the sides of the Kackar Mountains overlooking the Black Sea. 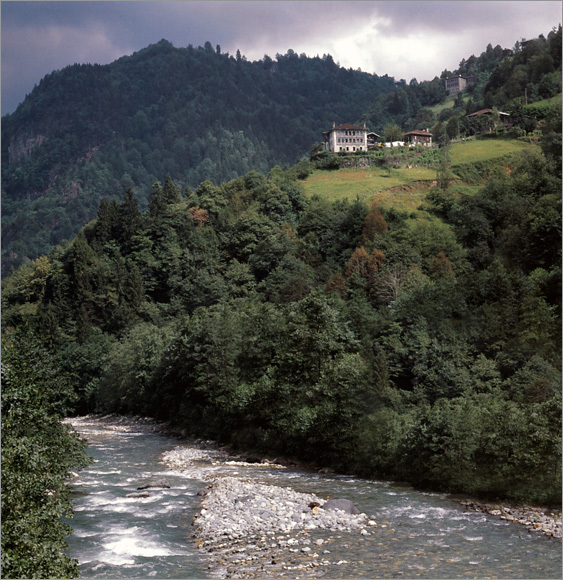 The Fırtına River, which flows into the Black Sea about 2 km west of Ardesen, is 57 km long. The Fırtına Stream, which runs through the tea gardens and which is decorated with arch bridges, has racecourses quite suitable for rafting. You get to the Camlıhemsin district 22 km away, by following the highway extending to the north from the Rize-Ardesen highway. You can start the racecourse about 1 km to the South of Camlıhemsin. You should be careful about the huge rocks in 5 km distance. The water should be thoroughly examined, due to the passages posing dangers in 7,8 and 9 kilometres. The Duygulu Waterfall situated on the slope at a distance of 12 km to the west, adds a different dimension to the beauty of the area. It is possible to cut the racecourse somewhere suitable before the Fırtına River flows into the Black Sea. Along the racecourse extending for about 23 km, the stream channel is very stony; so, depending on the flow of the water, there are regions ranking between a degree of severity of 3-4-5. Special attention should be paid, especially during periods of intensive rain. The Fırtına Stream is suitable for river sports throughout the year. 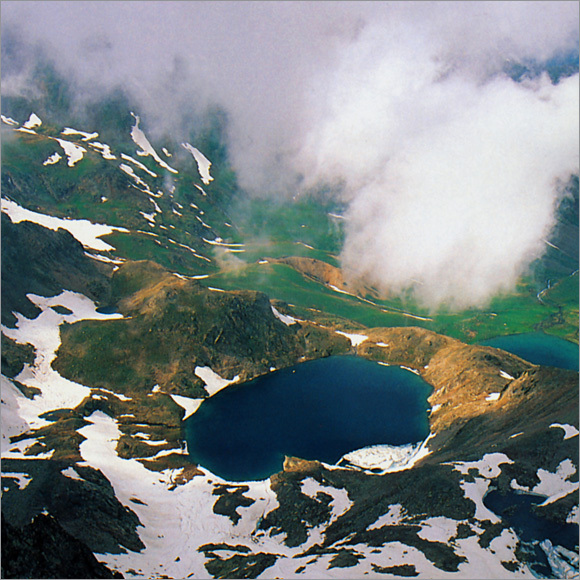 The highest hills of the Kackar Mountain Ranges, which has the appearance of a natural park with its sharp glaciers available throughout the year between Rize and Hopa, its blue lakes, its forests featuring a thousand different shades of green, fervent streams, a thousand different types of plant and animal species, are Altıparmak (3480 m.), Kavron (3932 m) and Vercenik (3170 m). 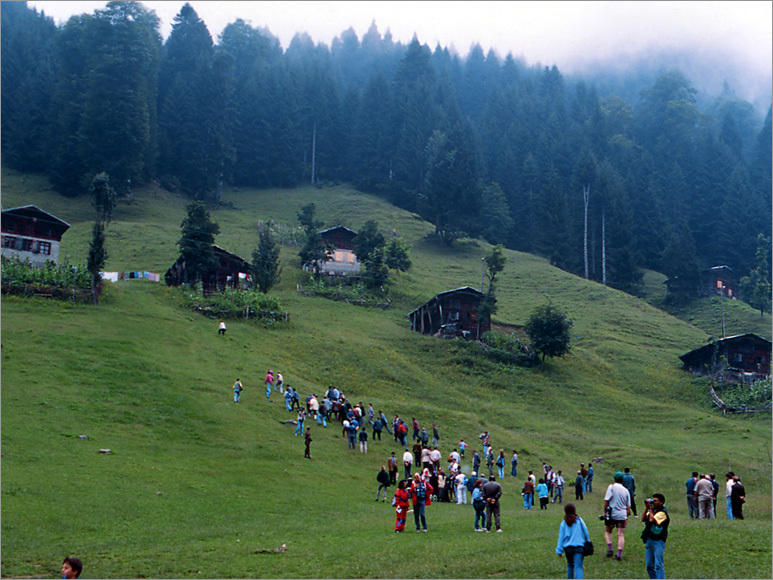 The Kackars, exit of which is easier from the southern route, is visited by hundreds of visitors every year. 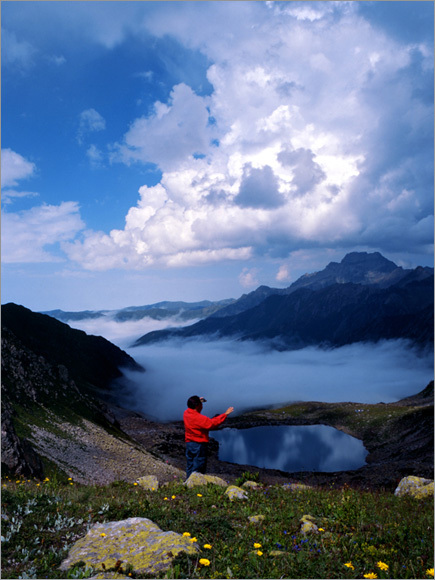 You can watch the wonderful sight of the Black sea, if there is no fog. The northern route, on the other hand, is preferred dominantly by experienced mountaineers. Another advantage of climbing the top using the northern route is that you can call over the spas on the Ayder Table on your way back. It is difficult to climb up the mountain in winter, to the amount that it is easy to reach the top in summer. Snow fils the valleys during the winter, covers the highlands and the houses disappear. Furthermore, the slope of the glaciers always carries the risk of an avalanche. Lettuce and anchovy has a unique rank on the dining tables in the region. Because, they are listed high in the list of the ingredients of the local meals. The main types of meal are: Ayran choppings, cılbır (a specialty made by beating an egg with yoghurt), cırıhta, cirmulis, bean tavalisi, rice with anchovy, bread with anchovy, anchovy bird, anchovy tavalisi, herse, hosme, zucchine feli, lettuce soap (slamped lettuce), minci, muhlama, ormanlı anchovy, paluze, papara pasmanika, musted zucchini, sarma (lettuce sarma) ( stuffed vegetables). 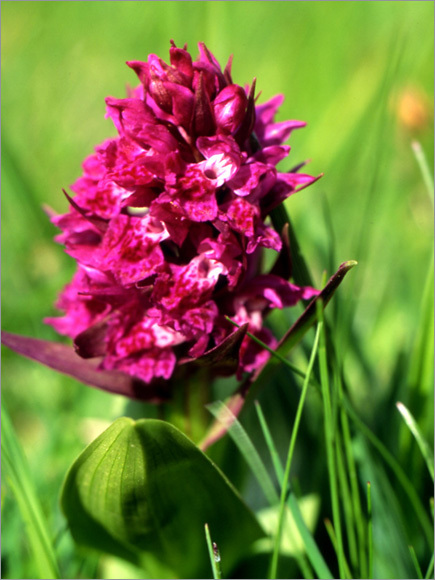 Beekeeping is carried out on the highlands and pastures aboye the upper zone of the forests. 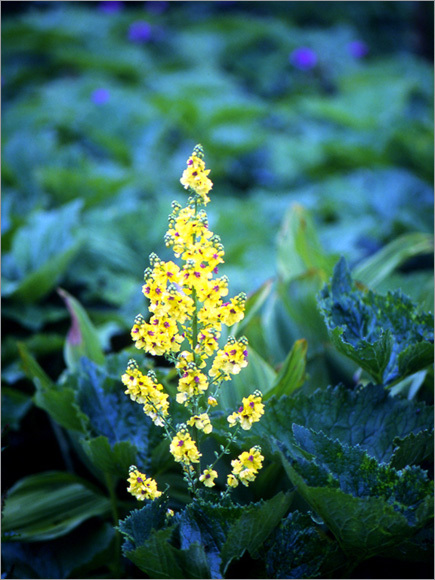 These regions, which still have not been contaminated by the chemicals and which are unique in terms of the variety and richness of flowers, the world-famous “Anzer Honey” is produced. In the region, where the handicrafts are still made, you can buy woven, wooden and hand-knit products. Hemsin socks and the Rize cloth (feretiko) are among the famous woven things. Good quality, colorful, summery and light woven things are unique to the Rize region.Stuff woven from sticks or mat such as tea baskets, grape baskets, fruit baskets and picnic baskets are abundant in the area. Spoon types, chairs, fiddles and mock-up boats are among thte wooden works that can be purchased. You can buy the bet tea of the Black Sea region in summer, during the Tea Festival .And the famous Anzer Honey of the region should not be forgotten.